Uniko Studio officially opens Saturday 11th February (mark that date!) with the release of some super, new stamps! Now lemme just say that Beverley's design background combined with her own stamping passion has resulted in some seriously fabby stamps. These beauties are designed by a stamper for stampers. I can't wait to share with you some of the cards I've rustled up with 'em! But in the meantime be sure to visit the Uniko Studio blog & bookmark the store for it's opening on Saturday! Thank you for letting me spill the beans & I hope that like me, you're looking forward to checking out a new stamping company in town! That's brilliant Aimes, I can't wait to see your gorgeous designs. I just know you are going to do her proud. Hope the week goes by fast! Thank you for the most loveliest words, you are so kind & I'm so excited about this new adventure! Yay - can't wait to see the designs Beverley has come up with. And looking forward to your undoubtedly wonderful interpretations of them!! Huge congrats Aimes! Lovely to see a UK company starting up too. We will be on half term too at the end of the week but kids permitting will be dropping by to see the no doubt amazing things you have created. HOORAY for you, sweetie!! I can't wait to see the stamps and what you make with them!! Congrats! I can't wait til you get started! So happy for you Aimes! Absolutely fabulous news...and I feel lots of enabling coming on! 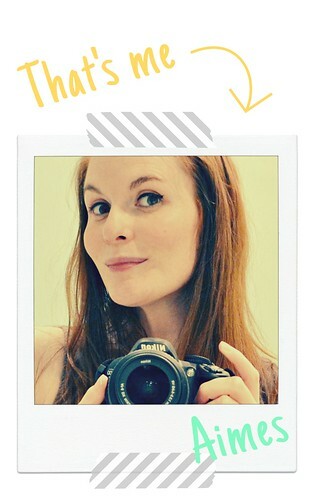 :) Can't wait to see more of your gorgeous creations. ooooohhhhh...how exciting!!!!!!!! Soooooo thrilled fo you! Wow! So exciting! Can't wait to see your designs! Wahoo! Congrats to you Aimes! Congrats to you! Looking forward to seeing what this new company has in store for us stampers! Congrats Aimes! Looking forward to seeing the first release of stamps. Best of luck to Uniko Studio! Hooray for the great news. Congrats. Looking forward to your projects! So excited for you and to find out more about this company! 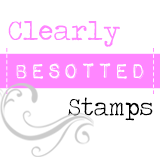 Congratulations Amy, can't wait to see your creations with Bev's FAB new stamps! I'm hoping to get mine inky tomorrow before I see what talented people do with them LOL! Congrats! Can't wait to see all the fabby designs I know you have up your sleeve!